Relative Something: How would you describe what Votograph is to someone who has never heard of it? Julian Hays: Votograph is a social photo game for mobile devices. Players compete by submitting a photo that matches or somehow relates to a given challenge phrase. Players then vote on the best photo for each challenge. The player whose photo has the most votes when time is up wins the challenge. 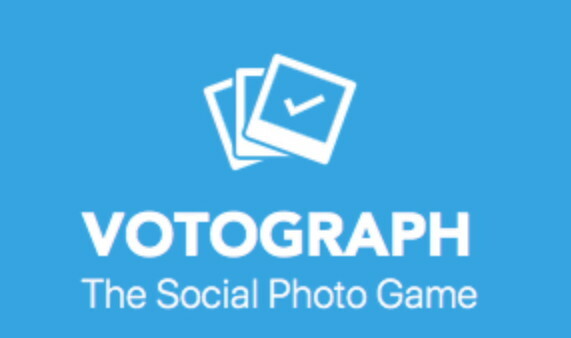 Tyson Acker: Votograph is a platform for all the photo nerds out there that has more of a game focus than other social media apps. You’re not merely sharing your photos–you’re trying to out-do your friends and family (or, in public groups, the entire world!) on a given topic. Users can either join ongoing public challenges or create private challenges of their own; in either case you have a specified length of time to submit a photo and vote for the best. RS: So, just to clarify, when you say “mobile devices,” will Votograph run on tablets, in additions to phones, but not on a PC or laptop computer? JH: Votograph is not available on tablets at the moment- only “phones”, or phone-sized devices for now. But it is available on both iOS and Android platforms. RS: Can you describe how the idea for Votograph originated? JH: The initial game concept came from DevMode’s owner, John Bailey. He proposed the idea and DevMode began working on the project in our spare time between client work. The project served as a means to learn more about project architecture and to refine our skills. RS: Do the photographs submitted for a challenge need to be taken in the moment, or can they be old images already on a person’s phone? JH: For the daily public challenges, you can submit either a photo you capture using the Votograph camera, or a photo from your library. That allows you to use your phone’s camera app if it helps you capture a better photo, or if you want to submit a picture you captured earlier. That also means images you found and downloaded from the internet are fair game. If you are creating your own challenge for a private group, you have the option of whether or not you would like to allow existing photos from someone’s library. Sometimes forcing “camera-only” works well for a challenge at an event, such as “Best Mullet At The State Fair”. RS: What if two people submit the same image? Can we see the other images that have already been submitted to a particular challenge? JH: That’s another option- by default, the public challenges are “blind” challenges, meaning you cannot see or vote on other submissions until after you have submitted. When you create a private challenge, you have the option of toggling “Allow Vote Before Submission”, which would allow anyone to see and vote on submissions at any time. If you choose not to submit a photo, you can still see and vote on the submissions once the challenge enters the “Vote” stage after submissions have closed. Challenges can be set to a duration of 1, 4, 8, or 24 hours. The “Vote” stage would be the final 15, 30 or 60 minutes depending on the length of the challenge. 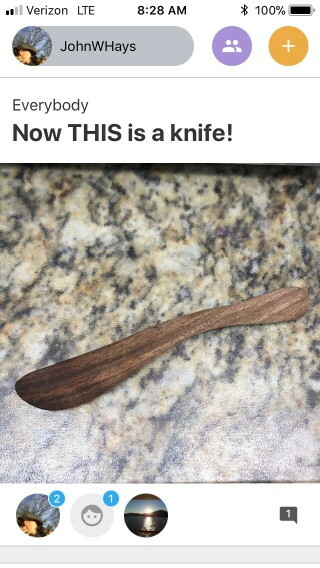 So, on a “blind” challenge, it is possible that people could submit the same image or same idea without knowing it. At the end of the challenge, if there is a tie between submissions with the most votes, the win is awarded to the photo that was submitted first. RS: If a player has already voted for an image, can they change their vote if a new submission arrives that they like better? JH: Yes, players can change their vote as many times as they would like until the challenge has ended. RS: When did DevMode release Votograph? RS: How is DevMode feeling about the response thus far? JH: Interest has been light so far- but we haven’t really had time to put forth much of a marketing effort quite yet. Hopefully we can reach out a bit more and start gaining some more traction. RS: I see Votograph as appealing to people who want to take the “perfect” beautiful picture, as well as to those who like the more intellectual aspect of interpreting the challenges in quirky or obscure ways. Have you seen any patterns that reveal one or the other methods have met with greater success in challenges played thus far? TA: Good question! So far I actually see that as one of the drawbacks of the app: I think users might be discouraged from submitting if they feel like they don’t have a “perfect” photo. We have a series of achievements which attempt to add some positive feedback on multiple levels, so users can feel like they’re accomplishing something without necessarily winning a challenge. But I fear that it isn’t enough to coax some of our more cautious users into increased participation. We still have some work to do in that area. As for the quirky/obscure angle, I did manage to win a recent challenge with a crude line drawing. So it can be done! JH: Tough to say- So far there have been a variety of winning strategies. And that has been part of the fun. Sometimes the best-looking photo wins, sometimes the tastiest-looking item in a photo wins, sometimes the obviously-quirky photo wins. It might be too early yet to say which strategy sees greater success. I think the given challenge phrase matters a lot- the quality of the phrase is pretty clear based on how many submissions come in for it. The less interesting phrases certainly do not get as many submissions. From the main screen, tap the yellow “+” button in the top right corner. Then, select a Public group from the list. You will then see a text input where you can submit your phrase suggestion. We’ll review it and if it looks good it will get added to the master list. RS: Can a user submit more than one image to a challenge? If the game were happening instantaneously, like an in-person card game, that question wouldn’t probably come up, but when the challenge lasts 24 hours, there can be tempting opportunities of better shots that arise before time runs out. JH: No- once the submission is in, that’s it! One photo submission per user, per challenge. RS: So make it a good one! Fair enough. I suppose this would be a fine time to ask how people can get the App and what it will cost. Where can photo-gamers find Votograph for downloading to their camera phones? JH: It is a free download at both the Apple Store and Google Play Store: https://votographapp.com. We’d love to hear feedback- feel free to send your thoughts to feedback@votographapp.com. Thanks for the support & good luck to all players!